The location and entire apartment were great. Check-in was easy as was check-out. I love the view and the overall look of the condo. I enjoyed the comfortable beds and sofa. My overall experience was awesome I really enjoyed myself and will book again soon. Everything, nice neighbourhood, nice new appartments with a lot of space and amenities. The apartments is new, extremely clean, as are the bed and the linen, and the kitchen is weel furnished with all the basic cookware needed. The staff is very professional and helpful. Highly recommend as the place was very clean and extremely nice. Manager was really helpful for anything and everything. Was a safe place and would stay here again!! Booked the two bedroom apartment, our stay was great! The wifi was so fast, download speed was up to 100mb. The balcony was huge and had an awesome view. Victor was amazing. Responsive and even when I locked my keys inside the apartment on a Friday night he came to meet me. I wanted to give him a big tip ($100) and he refused it. Says he was just doing him job. Very professional. The kitchen was great; modern with a microwave, pots and pans and dishwasher as well as a washer and dryer. The place was very modern with an incredible rooftop pool. Often you see pretty pictures in an ad but this actually looked like the photos. Highly recommend it. Everything. Location, staff, property, views, spacious rooms, etc. Victor was awesome. Found a way to accommodate our requests in a professional way. Yes, owner of the property was waiting for me, gave me. The keys, showed, me around, everything was quick and easy. The apartment was immaculately clean and neat! Victor (host) was extremely polite. Lock in a great price for Acqua Bay Luxury Apartments – rated 9.6 by recent guests! Located 6.2 mi from Miami Beach Convention Center, Acqua Bay Luxury Apartments offers free WiFi and apartments fitted with a fully equipped kitchen and living room. Each apartment includes a washing machine and tumble dryer. The living room houses a flat-screen TV, a sofa, and a dining table. Some apartments feature a terrace and/or balcony. Guests can enjoy the outdoor swimming pool at the property. A fitness center is also provided so that guests can work out during their stay. Lincoln Road is 6.2 mi from the apartment, while Art Deco Historic District is 7.5 mi from the property. Miami International Airport is 11 mi away. When would you like to stay at Acqua Bay Luxury Apartments? This 2-bedroom apartment features a balcony with a water view. A fully equipped kitchen is provided as is a living room with a sofa. The 1-bedroom apartment includes a balcony with a view of the water. A fully equipped kitchen is provided as is a living room with a sofa. This apartment features a dining area, air conditioning and tumble dryer. This apartment features a washing machine, air conditioning and stovetop. The Ivory is situated on the calm waters of the Intracoastal Waterway in the town of Bay Harbor Islands. 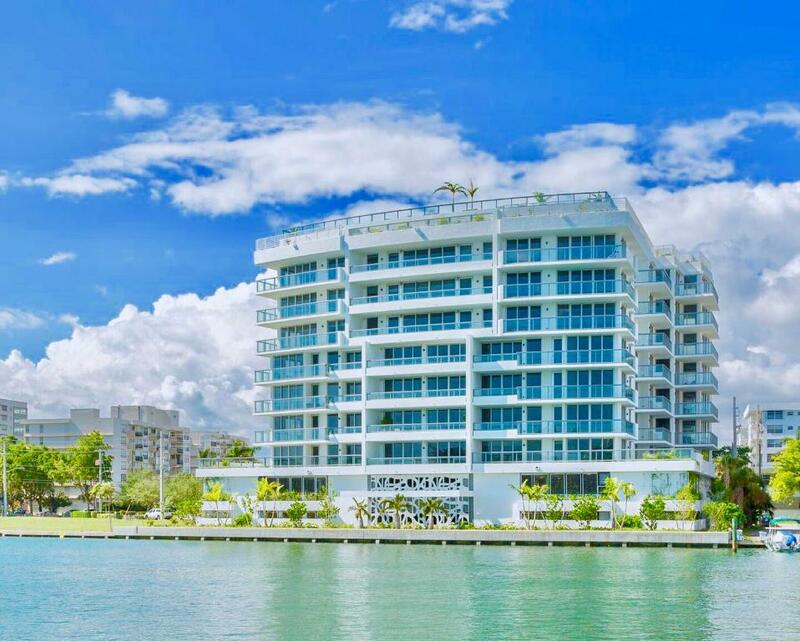 This boutique condominium features 40 residences with unique and stunning views of the marina and the turquoise ocean. Residents will enjoy the calm and soothing atmosphere of the Islands while enjoying the Miami lifestyle. Bay Harbor is a vibrant community centrally located between South Beach and Aventura, with easy access to other major attractions in the Miami Beach area and Miami International Airport. Acqua Bay Luxury Apartments By The Ivory is located in the beautiful island setting of the exclusive Town of Bay Harbor Islands. This 59 unit condominium offers all the necessary amenities emphasizing privacy and comfort. Residents can walk or ride their bicycles to the nearby beach, enjoy the island's café's or stroll to Bal Harbour Shops and the Surfside shopping district. Bay Breeze's elegant design boasts large balconies and a rooftop terrace with a lap pool, sundeck and plenty of space for entertaining and leisure activities. All floors are accessible via a high-speed elevator into a private floor foyer. Residences are spacious with an open plan living and dining area with direct access to terrace and balconies. House Rules Acqua Bay Luxury Apartments takes special requests – add in the next step! Acqua Bay Luxury Apartments accepts these cards and reserves the right to temporarily hold an amount prior to arrival. Please inform Acqua Bay Luxury Apartments of your expected arrival time in advance. You can use the Special Requests box when booking, or contact the property directly using the contact details in your confirmation. Amazing place! The view, the appartement, the pool! Great great! Very nice flat, lots of space, two bedrooms, great balcony with a fantastic view and an amazing pool. Location is North Miami. Residential area. Size of appt. Rooftop pool. Everyrhing was amazing nice views. Very good pool and amazing spa. Edward met us promptly for the check in, everything went extremely smoothly. The flat was very modern and comfortable with lovely views over the intracoastal waterway. Bal Harbor shops are a little stroll away and there are good convenience stores nearby walking distance. The rooftop pool is stunning with good quality sun loungers. The flat is modern and beautifully furnished with a comfortable bed. We loved everything about Acqua Bay luxury apartments and can’t wait to return! The pool area was lacking pads on the chairs. Not sure where they all went. First time staying in the area and there was an amazing waterfront view. The apartment was very spacious and offered several useful amenities. Customer service was very helpful and the location proved to be extremely versatile. Overall a remarkable experience. Would benefit from more seating in the living room (e.g. bigger sofa and 2 armchairs) and maybe one more small sofa or some chairs on the balcony. Generally the apartment exceeded our expectations but the spacious feel of the living area, the balcony/views and the pool area really impressed us. The only issue we had was our bedrooms was hot at night and even with turning the thermostat up didn’t really seem to help. Also, the water didn’t get hot enough and also didn’t stay hot long.